Dr. Hersh is an Assistant Professor in the Department of Radiology, H. Lee Moffitt Cancer Center and Research Institute at the University of South Florida, Tampa, FL. 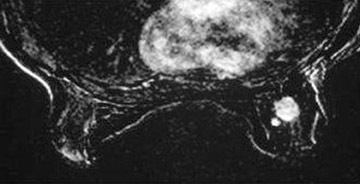 Imaging of radiographically dense breasts represents a diagnostic challenge for interpreting radiologists. 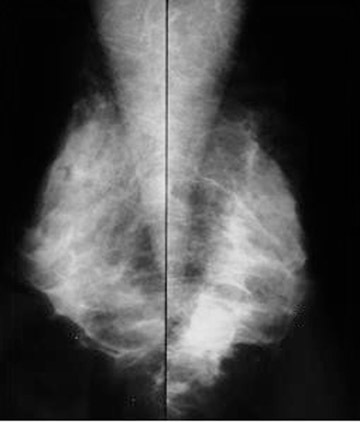 Breast cancer, especially noncalcificed breast cancer, is more likely to be missed in dense breasts than in radiologically fatty breasts. 1 In addition to the decreased visibility of the lesions secondary to the increased density of the breast tissue, there is probably an independent increased risk of malignancy in dense breasts. 1 Because of the increased risk of cancer and the difficulty in recognizing lesions, various methods to improve the chance of visualizing malignancies have been studied. These include, digital imaging, computer-aided detection (CAD), ultrasound, magnetic resonance imaging (MRI), sestamibi (Bristol Myers Squibb, Billerica, MA) and positron emission tomography (PET) imaging. * Four progressively more dense patterns, first defined by John Wolfe, MD, and now referred to as Wolfe patterns (N1, P1, P2, DY). 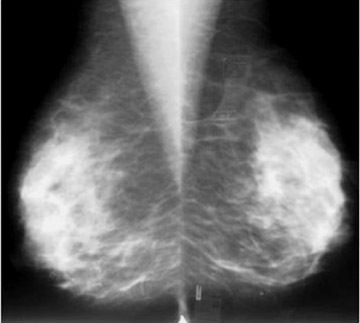 * Four progressively more dense patterns defined by the American College of Radiology (ACR) Breast Imaging Reporting and Data system 2 (BIRADS; ACR, Reston, VA): 1) almost entirely fat; 2) scattered fibroglandular densities that "could obscure a lesion"; 3) heterogeneously dense that "may lower the sensitivity of mammography"; 4) extremely dense that "lowers the sensitivity of mammography." * Percentage of parenchymal tissue density (compared with fat density) on the craniocaudal mammogram, as measured manually by planimetry, or by computer software programs. For clinical purposes, most descriptions of breast density today use the BIRADS terminology. * Grade 1: Having no areas of tissue that could obscure cancer. * Grade 2: Having at least one area of tissue that could obscure cancer. * Grade 3: Having tissue that can obscure cancer in 50% to 75% of the breast. * Grade 4: Having tissue that can obscure cancer in >75% of the breast. 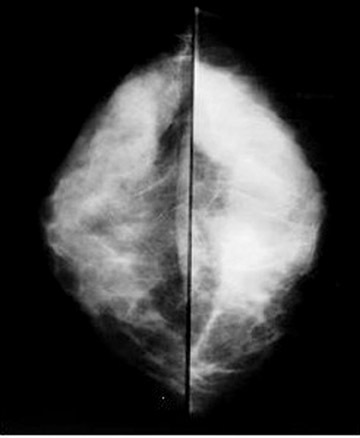 In general, dense breasts are considered BIRADS categories 3 and 4. The decreased visibility of masses and calcifications is related to decreased contrast. This results in obscuration of subtle abnormalities and increased risk of not visualizing malignancies. Hormonal therapy has been shown to affect breast density. Greendale et al 6 have reported that breast density increases 4.6% to 4.8% when estrogen and progesterone are given together. A similar increase was not seen with estrogen alone. Carney et al 7 studied 463,378 mammograms and found that hormonal therapy increased breast density and decreased the sensitivity of mammography. Hormonal therapy was not an independent predictor of accuracy in mammography, but only influenced accuracy based on the increased density of the breast tissue. Venta 8 and Lewin 9 have compared the effect digital imaging (DI) has on the classification of the density of breast tissue and the effect it has on detecting lesions. Venta 8 studied 692 patients and Lewin 9 495 patients with both film screen (FS) and digital mammography. Lewin 9 showed no difference in the number of patients reported as having dense breasts versus nondense breasts. Venta showed a slightly decreased number of patients reported to have dense breasts on DI when compared with FS. Lewin also showed that the recall rate was slightly greater for film screen than digital imaging (13.8% FS versus 11.5% DI). Although the positive predictive value for digital mammography was reported as 30%, and 19% for FS, this was not statistically significant. Although CAD has been developed to improve the rate of diagnosing early cancers, its effectiveness in dense breasts has also been investigated. Brem et al 10 have studied 1059 cases with the CAD system (version 4.0, CADx Medical Systems, Quebec, Canada). They considered fatty and scattered fibroglandular densities as nondense breasts and heterogeneously dense and extremely dense breasts as dense in their analysis. Computer-aided detection was able to detect 89% of all cancers with no significant difference between the cancers detected in dense and nondense breasts. Ho et al 11 studied 264 bilateral examinations with CAD (Second Look, Version 1.1, CADx Medical Systems) and found a statistically significant decrease in the sensitivity of CAD in dense breasts. Computer-aided detection identified approximately 94% of abnormalities in grade 1 and 2 breasts, but this decreased to 85% in Grade 3 breasts and 64% in Grade 4 breasts. 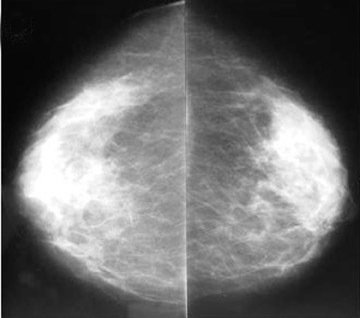 Vyborny 12 reviewed 677 cases of breast cancer manifesting as masses on mammography and evaluated them with CAD (Image Checker M1000 V2.0; R2 Technology, Los Angeles, CA). There was no significant difference in the performance of CAD in dense versus fatty breasts. Sensitivity ranged from 71% to 78%. Birdwell et al 13 retrospectively reviewed 110 cases of breast cancer. Dense breasts were believed to be the cause of missed lesions in 34% of the cases. Computer-aided detection (R2 Technology V2.0; R2 Technology) marked 30 (86%) of the missed calcifications, 58 (73%) of the missed masses, and 62% (grade 1) to 86% (grade 3) of malignancies. There was no significant difference in the performance of CAD in dense and nondense breasts ( P = 0.17). The discrepancies in the studies may be related to the earlier version of software and the small number of patients studied by Ho et al. 11 Evaluation of the newer software shows no significant difference in the performance of the CAD systems in dense and fatty breasts. Ultrasound has been suggested and studied as a way to increase the detection of malignant lesions in dense breasts. Kolb et al 14 has recently studied the sensitivity of mammography, ultrasound, and physical examination on the detection of breast cancer and compared the results in breasts of different densities. He studied 11,130 women undergoing 27,825 screening exams. After studying the first 700 patients with fatty breasts and finding no additional cancers detected by ultrasound, no further fatty breasts underwent ultrasound. He concluded that physical examination was slightly more sensitive in dense breasts (35%) than in fatty breasts (22%). While mammography was 98% sensitive in fatty breasts, this decreased to 48% in grade 4 breasts. When grades 2 through 4 were analyzed, the sensitivity for mammography was 64%. The sensitivity of ultrasound averaged 75% in patients with dense breasts (grades 2 through 4). 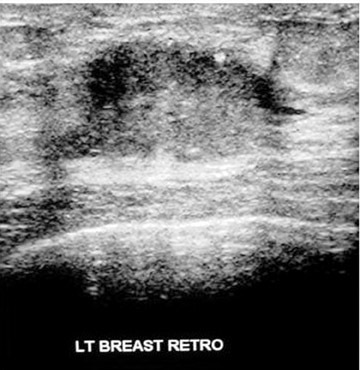 When ultrasound and mammography were combined, there was 100% sensitivity in grade 2 breasts. The combined sensitivity of mammography and ultrasound in grades 2 through 4 was 97%. Crystal et al 15 studied 1517 women who had dense breasts with normal mammograms and physical examinations. They detected no additional cancers in the category 2 breasts (156 patients). Five additional malignancies were identified in category 3 breasts (1149 patients), and 2 additional malignancies were detected in grade 4 breasts (212 patients). While the number of additional cancers identified was small, there was a significant difference between low- and high-risk patients. They showed a statistically increased incidence of detecting cancers when screening high-risk patients with both ultrasound and mammography (1.3%) when compared with baseline risk group (0.25%). Leconte 16 also examined 4236 patients with both ultrasound and mammography. They noted that mammography detected 80% of cancers in grade 1 and 2 breasts, while sonography detected 88% of cancers. In grades 3 and 4, the sensitivity of mammography decreased to 56%, while sonography remained stable at 88%. These studies suggest that ultrasound is useful in detecting malignancies in dense breasts, especially in women who are at high risk for breast cancer. 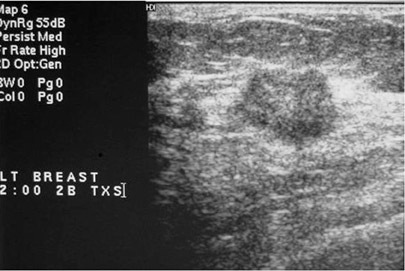 An example of malignancy detected by ultrasound and not seen on mammography is shown in Figure 1. Multiple investigators have studied the effectiveness of breast MRI in diagnosing breast cancer. These studies included high-risk patients who have been diagnosed with one cancer and patients with increased familial risk. Many of these patients have dense breasts on mammography, making screening difficult. Liberman 17 studied the ipsilateral breast in 70 patients who had breast cancer. They found additional lesions in patients with dense breasts (grades 2 through 4) and no additional lesions in fatty breasts. Additional lesions were found in the same quadrant in 20% of patients, different quadrants in 4% of patients, and both the same and different quadrants in 3% of patients. This additional information resulted in changes in treatment in 7% of cases. Hlawatsch 18 studied 104 women with suspicious lesions on mammography. These women underwent MRI and ultrasound. Mammography correctly diagnosed 48% of the patients. Mammography and ultrasound correctly diagnosed 63% of patients and MRI diagnosed 81% of the patients. A total of 13 patients had malignancies identified on ultrasound that were not visualized on mammography, and these were shown to have a significant increase in breast density when compared with those diagnosed on mammography. Seven additional lesions were found on MRI when compared with the combination of mammography and ultrasound, and these also had a significant increase in breast density. In an additional 13 patients, the MRI images provided the best images of the tumor. The addition of ultrasound as an imaging modality resulted in unnecessary surgeries in 2% of the patients. When MRI was compared with the combination of mammography and ultrasound, an additional 8% of patients underwent unnecessary biopsies. Lee et al 19 evaluated the contralateral breast in 182 patients with breast cancer and found additional lesions identified in dense breasts. Additional true-positive lesions were found in 28% of grade 2 density breasts, 57% of grade 3 density breasts, and 14% of grade 4 density breasts. No additional lesions were found in fatty breasts. Various studies have been completed in high-risk patients. Tilanus-Linthorst 20 evaluated 109 high-risk patients whose breasts were 50% dense on mammography with both MRI and mammography. Additional cancers were found in 3 (2.8%) patients and false-positive results were seen in 6 patients. Stoutjeskdijk 21 studied 179 high-risk patients with mammography and MRI and found cancer in 7 additional patients. Warner et al 22 evaluated the sensitivity and specificity of physical examination, mammography, and sonography in 196 high-risk patients. They found that MRI was 100% sensitive with a positive predictive value (PPV) of 26%, while ultrasound had a sensitivity of 60% and PPV of 19%. Mammography had a sensitivity of 33% and a PPV of 66%. Kuhl 23 studied 192 high-risk patients and also found MRI to be 100% sensitive with a PPV of 75%. Mammography and ultrasound together had a sensitivity of 53%. Mammography alone had a sensitivity of 44% and a PPV of 50%. The above studies indicate that MRI has been shown to locate additional lesions. It appears to have a sensitivity between 80% and 100% in various studies. Further studies are needed to more accurately characterize the lesions detected by MRI to prevent unnecessary biopsies and allow lesions, which are localized by MRI, to be biopsied. Figure 2 presents an example of a lesion identified on MRI, but not on the mammogram. Radionuclide imaging modalities that have been evaluated in dense breasts include sestamibi and PET scanning. Khalkhali et al 24 has compared the sensitivity of sestamibi in women with dense and fatty breasts and found similar sensitivities (71%) and specificities (79%) between the two. Accuracy was also similar in both fatty and dense breasts (76%). The total-body PET imaging studies that are currently being performed will not likely have use in diagnosing malignancies since lesions <1 cm are not easily detected. Coleman et al has done some experimental work with PET/mamography scanning by which smaller lesions have been visualized (R. Edward Coleman, MD, personal communication, May 2003). This may prove useful for diagnosing malignancies in the future. Patients with dense breasts represent a diagnostic dilemma. In addition to the increased density resulting in malignancies being obscured, patients with dense breasts have increased incidence of breast cancer. Since mammography has been shown to have a decrease in sensitivity from 98% in fatty breasts to 42% in dense breasts, additional imaging modalities need to be investigated to improve the diagnostic accuracy of imaging in breast cancer. The accuracy of CAD appears similar in dense and nondense breasts and may prove useful. When ultrasound and mammography have been used in combination, the sensitivity in dense breasts appears to increase to 97%. MRI has been reported to increase sensitivity, but also reveals more non-malignant lesions. While sestamibi is equally effective in dense and fatty breasts, its accuracy remains low. PET/mammography may prove useful in the future. Further studies are needed to determine the best additional modalities to use to evaluate women with dense breasts. Imaging the dense breast. Appl Radiol.